Recruiters have adverts up all the time showing a variety of jobs all over the place. But is it good to use a recruiter? It depends. Some people love them and some people hate them. Recruiters may be common in some countries, like Korea or Oman for example. If you go to Oman, make sure you get your stop-over at a hotel. You can find more info at Dave's ESL Cafe. There are usually two types of recruiters: those that recruit for a variety of schools and those that recruit for their own school or franchise. An example of the first would be Footprints. They recruit for schools all over the world. An example of the second would be English First (EF). They recruit only for EF schools, but they still have positions all over the world. Below you will find good, bad, and ugly things about using recruiters. First, they do the work for you. They'll find you a couple jobs and you can choose the one you want. In addition, they are usually up to date on immigration requirements and can tell you what you need to do to get the visa. Another benefit is that they can act as a go between by helping with communication when neither you nor the school speak each others' languages. Second, they have contacts in countries that you don't. They often have contracts with schools that don't put up their own advertisements which means that you will have more access to jobs. Thirdly, it's also possible to work with more than one recruiter at a time to broaden your chances of getting a good job and getting a job quickly. Fourth, if you already have a full time job lined up and are looking for some part-time work, they'll be able to help you fill the holes in your schedule. Lastly, it's free. They'll do all the legwork and you don't have to pay them. If a recruiter wants you to pay them, then they're not legit. Below are some good recruiters. That's not to say that these are the only good recruiters, but these are ones that have been repeatedly recommended. 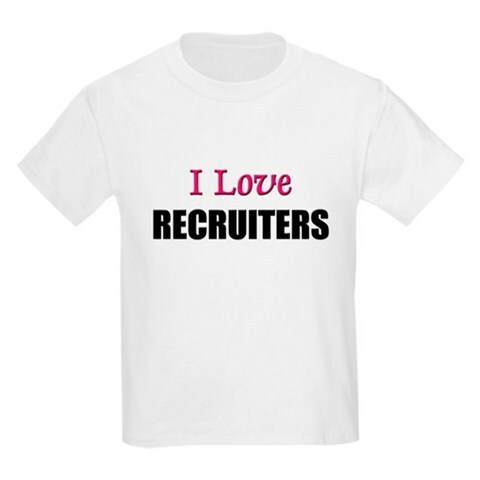 If you know of a good recruiter, please let me know. If you've got the qualifications to work at an international school, look at this post to find a list of recruiters. Teach Away Inc. (They also have an online TEFL cert from the University of Toronto. First, they do not work for you - they work for the school. This means that they often have the school's best interests at hand, not yours. Second, they are not your friend; they are simply doing their job. Thirdly, they may stretch the truth a bit about the schools in order to get you to sign a contract. So "close to a big city" might really mean that the school is an hour away by bus and that bus only runs once a day. Lastly, they're not magicians, meaning that if you royally screw up, they're not going to bail you out. There are a lot of bad recruiters out there. Dave's ESL Cafe is a good place to start if you want to find out if a recruiter is reputable or not. Here are some warning signs of a bad recruiter. Basically, if it's too good to be true, it usually is. They use post offices instead of an office. They make promises they can't keep, such as getting you a visa if you legally can't get one. They charge you a fee for a job lead. They want you to make a decision straightaway. They need you to start tomorrow. They promise you a lot of money. The ugly is just about the same as the bad. The worst recruiters out there do all the things mentioned in "The Bad" list. Perhaps the worst thing is that there are a lot of crappy recruiters out there who are just in it for the money and don't have a clue about recruiting. Or recruiters who actually try to find teachers who teach illegally on the side and turn them over to immigration. There are good and bad recruiters out there. As with everything, don't put your eggs in one basket. When you apply for jobs, use a variety of methods: recruiters, connections, word-of-mouth, and applying directly. Lastly, if you do decide to get a recruiter, try to get feedback from other people who have used that recruiter. Don't just read the feedback the recruit gives you from their websites. Go online: Dave's ESL Cafe is a good place, and ask others about that recruiter.